In July, the New York State Senate announced that the Drug Take Back Act has been signed into law. This law establishes a statewide drug take back program to try and reduce misuse of medication and save government and taxpayer money. Senators Kemp Hannon and Tom O’Mara sponsored this bill, and it should help the state’s water supplies by preventing drugs from being flushed down the toilet or other disposal methods that could contaminate the water. Last year, the Senate secured a $2.5 billion investment to improve and protect the water supplies, and keeping drugs out of the water is crucial for this. They successfully created a unified drug take back program that helps save taxpayer money on programs currently operated by law enforcement and public officials. This act will place the responsibility for costs on the pharmaceutical manufacturers. Main points of this new act are mostly about public education and awareness, drug collection, transport, and destruction. 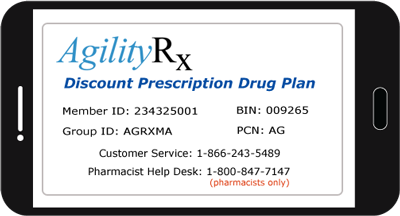 Chain and mail-order pharmacies are required under this new law to provide their patients with collection options, such as drop boxes and prepaid mail-back envelopes. This is also to ensure rural, urban, and other underserved communities have reasonable access to collection services and to locations to get rid of their drugs, to help prevent over-saturation in highly populated areas. This law is very important in aiding the state’s efforts on reducing drug abuse. The most common way for an opioid addiction to start is when someone has access to leftover prescription medication. The idea is that by increasing opportunities to dispose of old medication that abuse and addiction may decrease.